2014 Wanted Design Part 2: Creative. Collective. Dynamic. Design Community. During NYCxDesign located in the landmark Terminal stores building on 11th Avenue. Product and Fashion designer Anastasia Su and Architect Martin Lesjak have partnered as 13 & 9, an interdisciplinary design collective. 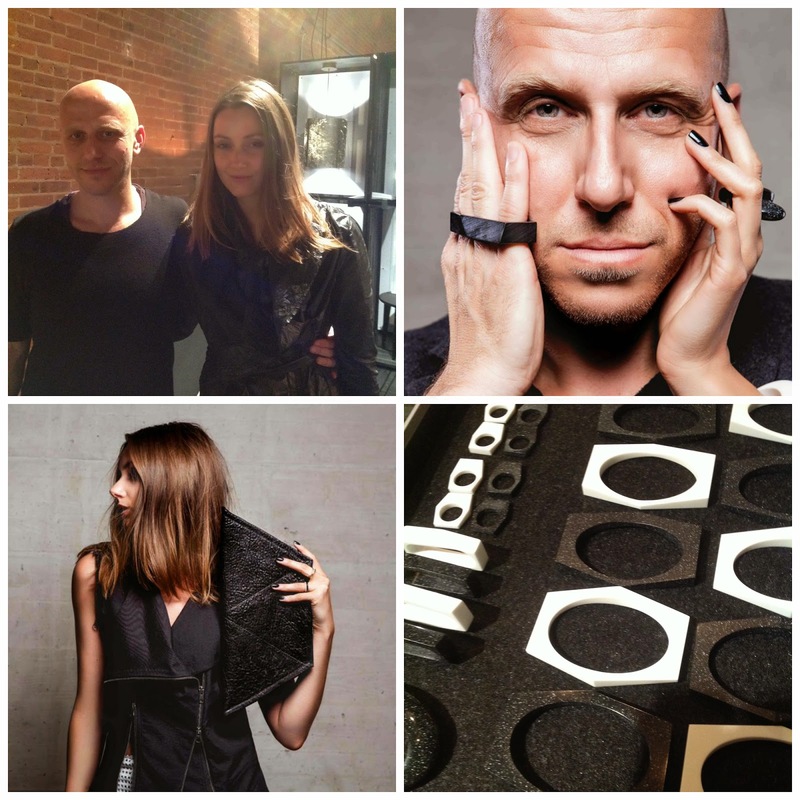 Their funky and architectural jewelry and bags are so cool! The Jewelery Geometric collection is inspired by nature: stone symbolizing permanence and the honeycomb shape symbolizing modular functionality. You can layer the rings and bracelets together to create endless shapes and your own distinctive fashion. And oh my... I want that black leather geometric bag! The Geometric collection of messenger bags and handbags rely on proportioned hexagons as the basis for the shape. Its the perfect synthesis of its designers Anastasia and Martin - the union of architecture and fashion. Alacantra, a leading Italian material brand for a variety of fields such as fashion, interior design and decor and electronics showcased their conic vines by award winning Japenese studio Nendo. The cones could make an interesting plant-like screen to divide spaces. 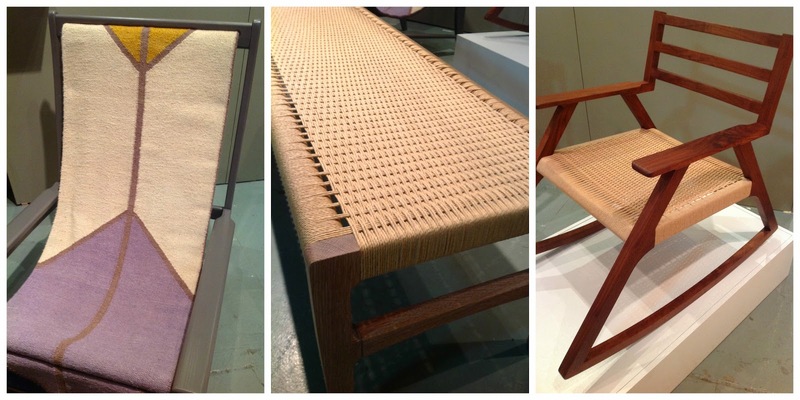 Austin based designer Michael Yates creates some beautifully detailed furniture with Danish cord and textiles. The weaving is impeccable. His Giacomo rocker was an exciting surprise using a textile rug to support the seat of the rocker. 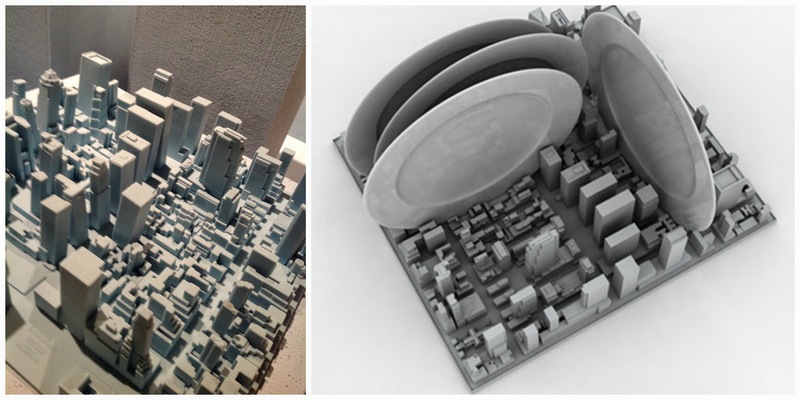 I love these unique Inception 3D silicone dish racks | desk organizer simulating a model of midtown Manhattan. 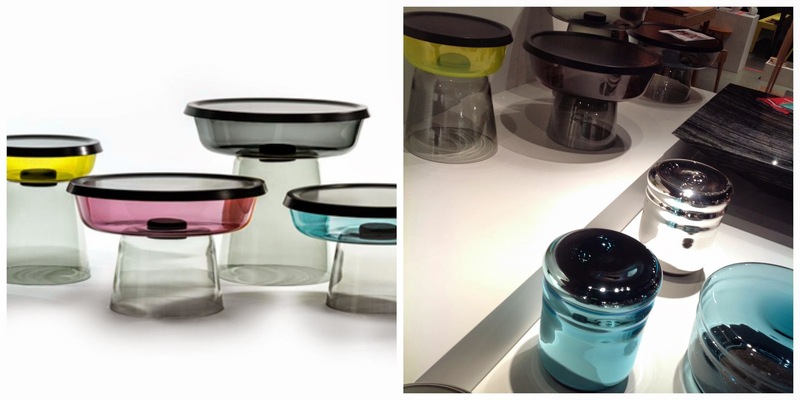 It is designed by Luca Nichetto for design brand Seletti. Stunning glass objects by Chicagoland. Keeping an American design tradition, their designers focus on truth to material. Their Collection WEST is an evolving collection of objects, sculptures, housewares. The Duo Tables collection for Haymann editions by Lucie Koldova and Dan Yeffet are functional sculpture. It speaks simplicity with a hint of surprise in the use of the material. Extremis design equals functional + good design. Their mission is to bring people together in a technical but beautiful way. 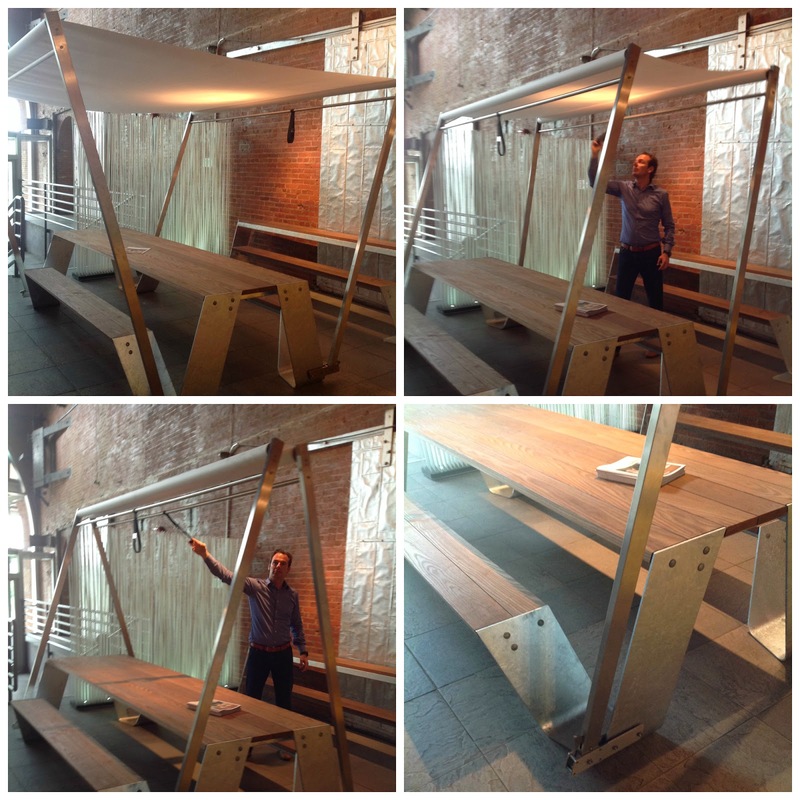 Every detail has meaning and thoughtfulness- its easy to open and close and they think about how people will use it. For example, a woman in a dress doesn't haven't to climb over the bench. You first sit at the end of the bench and then swing your legs across. Now that's good design!